Housetraining is easy and should not be one of those behaviors that tests your patience. Dogs are naturally clean animals and do not want to pee and poop where they sleep, so with very little effort you can teach them that the house is sacred. The method I am going to explain takes about 5 days. In some cases it might take a little less, but it rarely takes more. If you get your puppy on a Friday night you can teach him on Saturday and Sunday but you must be willing to take off work the next week to continue training. If you are not willing to take off work the next week for the sake of your puppy, you will probably spend weeks dealing with this issue. Remember your choice when you are cleaning up puddles for several weeks after bringing your puppy home. Invest a little time now. Your new puppy is worth it. This method only works if the puppy is going to share your house, and will only work if the puppy is going to sleep next to you at night. If you are going to banish your puppy outside at night, or make her sleep alone in the garage or bathroom, go find some other web page. I am not able or interested in helping. If you want to let your dog be a part of your family and sleep in your bedroom, the first thing you need is a cardboard box. The cardboard box takes the place of the whelping pen where your puppy was raised. It will keep him confined to a small area while you are sleeping or not able to watch him. The box should be big enough for the puppy to stretch out and sleep but not so large that he can move away from any mess he makes. It should be tall enough so that he cannot climb out. You can purchase and use a commercial crate if you want, but the main problem with crates is that dog owners will feel that they have to continue using their investment for a long time. Long term use of a crate is fine if you want to incarcerate your dog up and cause him to develop psychological abnormalities. I do not want my dogs to be afraid and run to a crate every time a strange noise scares them or a visitor comes over—there are enough neurotic dogs out there already. A cardboard box is free and as soon as the housetraining is finished it can be broken down and tossed in the recycling bin. A dog should never be an impulse purchase. 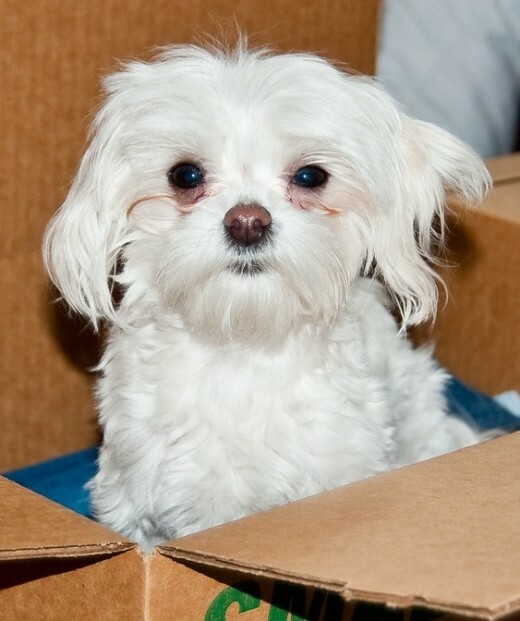 Only bring your puppy home when the cardboard box is ready and you have time to spend on housetraining. Do not give your puppy anything to drink after about 6 in the evening. If you arrive home after that, do not give him anything at all in the evening. Do not worry, he is not going to starve or die of thirst. Play with him outside, but do not overwhelm him, then take him for a final walk about 11 pm before you go to bed. Do this even if you have to wake the puppy up to go outside. If you do not take him for that final walk he will probably need to urinate in the middle of the night. When it is bedtime I put the exhausted puppy next to my bed and hang my hand over the side while he is falling asleep in her cardboard box. If he wakes up, the puppy can smell and touch my hand and is not going to be frightened of being alone. You will also be bonding with the scared little puppy, so deal with the discomfort for a few nights. As soon as your puppy wakes up, take him outside or to his pads. Do not put him down until he is at the appropriate place. Give him his diet, let him play with one of his toys, or play with him in the yard. When the puppy is tired he can be taken back to his box, but bring it out of the bedroom and keep it next to you. When the puppy wakes up, take him for a potty break before bringing him in for a light meal. Some puppies will need to urinate and defecate almost immediately, some will want to play first, or you can take him for another short walk to stimulate his bowels. When he is tired let him take another nap in his box. As soon as your puppy is awake, take him out to potty. 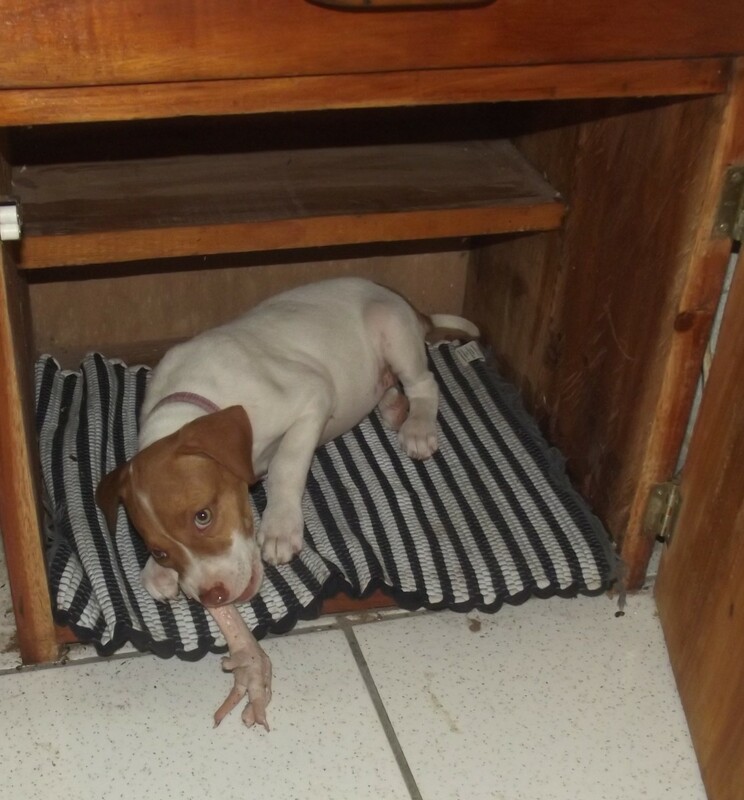 I try to give my puppy the largest meal at this time, and plenty of playtime after. Give the last meal of the day, take away the water, and after your puppy has had time to play carry him go to his cardboard box to sleep. The box needs to be where you are for the evening—in the living room watching TV, in the office on the internet, etc. Take the puppy for a potty break and walk, even if you have to wake him up to do so. 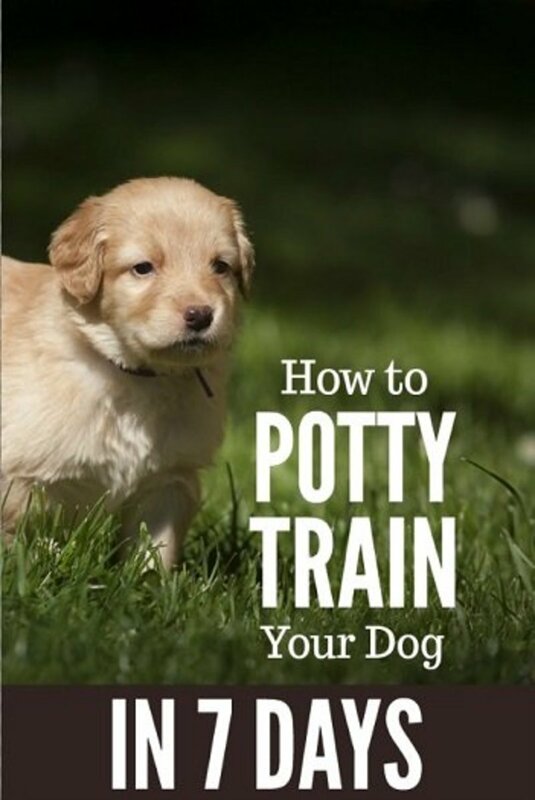 Most puppies will be able to sleep through the night if taken for that last potty break. Some small dogs are more likely to wake up in the middle of the night. Your puppy will probably wake you up early, maybe as soon as the sun is up at 5 a.m. He might whine to wake you up, he might lick your hand if it is still in his box. Do not ignore him. He does not have a “snooze” button and this is not the time to catch a few minutes of extra sleep. If your puppy is forced to sit in his cardboard box and urinate where he sleeps, you will be setting yourself up for a lot of extra work. Rub the sleep out of your eyes and take your puppy out to go pee. He might need to go as soon as you put him down, so lift him up and carry him outside (or to the area of the apartment you are going to use the wee-wee pads). After your puppy has urinated, you can play with him for awhile. I prefer to awake from my stupor and play with the puppy for about 20 minutes outside, since many puppies will have to go again after a short playtime. Bring the cardboard box into the living room or kitchen and when the puppy is finished eating let him take another nap. If he is not ready just after eating, play with him and he soon will be. After about two hours you need to wake your puppy up and take him outside or to his wee-wee pads. If the puppy does not want to urinate right away, do not give up and let him run around the house. Stick with it. After the puppy goes potty, praise him excessively; this is a good time to take your puppy for a walk. Tired puppies like to get plenty of sleep. Around 11 in the morning I give my puppy his second meal. He is already tired after his walk, so a full belly and a tired puppy equal another nap. (If not, take him for another short walk. Do not overdo it, since if you walk too far you might end up carrying him back! )Leave him in his cardboard box until after your lunch, but then take him out again before he asks to get up. I usually give a second snack (usually a raw chicken leg, which is both nutritious and fun for the pup to chew on) with his regular meal around 3 or 4, and then the final light meal of the day about 6. When your puppy has eaten that final meal, take away the water. Take him for another short walk around the yard or up and down the stairs of the apartment, then let him sleep in the box while you are watching TV. Sorry, this is one weekend you cannot go out and leave the puppy alone. Remember, if you ignore your puppy this weekend you are going to be dealing with the consequences for a long time to come. Even if your puppy sleeps through the evening, you still need to take him for a little potty walk about 11 p.m. Since you probably woke him up to do so, he will be wide awake and want to play with you or one of his toys as soon as he has done his “business”. Give him some time, but do not take him back to his cardboard box until he has peed and is ready to sleep again. He should sleep the night through, but make sure you are sleeping as close to him as possible. Try to hang your hand over the edge of the bed and into his box. If he does wake up, he will appreciate the comfort. If your puppy does not wake you up at 5 am, make sure you have your alarm set and take him out for a potty break as early as the sun is up. Remember, do not put him down until he is outside or on top of his wee wee pads. The rest of the day can go on pretty much like Saturday. Are you used to attending church on Sunday? Sorry, this is one weekend that you will have to forget about it. Concentrate on your project! Spend the day at home, catch up on your TV shows or look at your favorite sites on the internet. Lunch, the afternoon meal, and the evening snack should all be the same time as Saturday. Do not forget about taking him out for his evening potty break about 11. Wake him up if you need to. By the third morning, your puppy is getting into your routine. Do not think about breaking it. You will still be home with him, so make sure he has his meals on time, his bathroom breaks on schedule, and lots of attention. When he goes to sleep in the evening, be sure to wake him up for his 11 p.m. break. This is just another day of waking at 5, feeding on schedule, plenty of naps, and a late evening potty break. Is it getting tedious yet? Getting up early is no fun, but then again cleaning up accidents on the carpet for weeks to come will be even less of a joy. 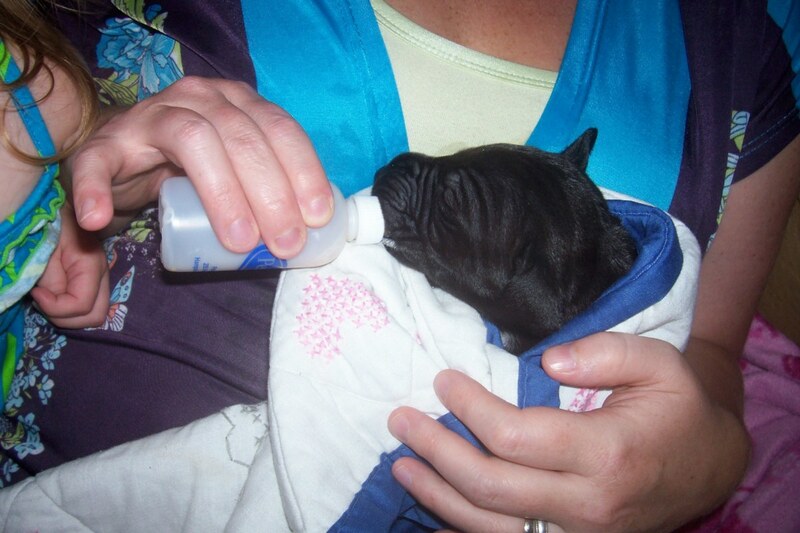 Spend the day caring for your new puppy. After your morning routine, you can leave the puppy alone today in a puppy pen. The pen is not to keep him from urinating in your house—all puppies like to explore and chew and if you leave anything down on his level he will find it and might chew it up. Do not leave him alone for a long time. I would not plan on being away more than 3 hours. Make sure he has something to chew on and a soft blanket to lie down on. You certainly do not need to leave food down for your puppy. Water is debatable. If you are going to be gone for 3 hours your puppy will be fine without water. If you are leaving water down because the puppy will be alone all day, you have another problem. Your puppy will probably pee in his pen and this whole process will need to be started again. It will not go as easily the second time. Sometime during the day, you can cut away the front of the box and keep using it as a bed for a few days. Most puppies will sleep in it during the evening and not get up in the morning until you take them out (Still very early—sorry!). If your puppy still has any accidents in the house, just take a deep breath and get over it. This method will work with most breeds and almost new members of your household. 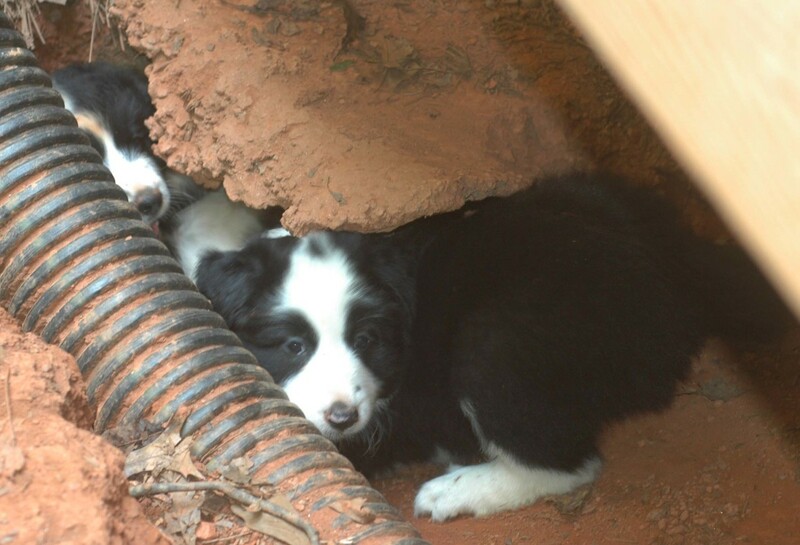 Puppies from pet shops or internet puppy wholesalers that come from puppy mills were probably raised in cages filthy with their own pee and poo. They have to learn to be clean, and may never be housetrained, so take a little extra time to look around and buy from a responsible breeder. Not all puppies are able to hold their bladders by 7 weeks, but most are. By the time you bring your new puppy home at 8 weeks he should not urinate in the house. Some dog writers claim that puppies are not able to hold their urine until they are around 12 weeks of age. This is false. I have trained many puppies over the years and know that this is false. This does not mean there will never be an accident. Sometimes a puppy will be playing with kids or his toys and just cannot hold it. He will squat and urinate where he stands. It is really not his fault—anyone who has raised a toddler knows that those accidents happen even after potty training. Do not punish your puppy for that accident. Never hit him. You can housetrain him in 5 days, just be prepared for an occasional mistake. Smile and give your puppy a scritch behind the ear. Impolite puppies can be hard to live with, and young dogs that are not taught impulse control may act rough and begin to bite. 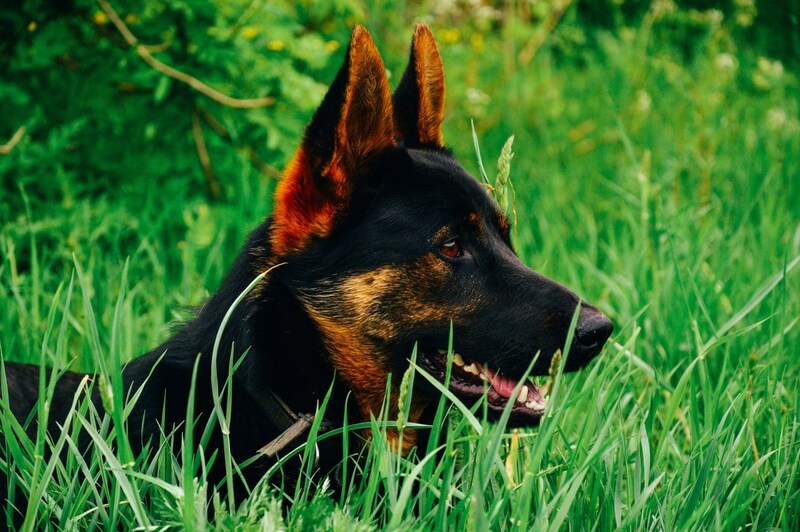 Some dogs that are not trained early may even be relinquished. We got a puppy last week. He goes perfectly outside and lets us know when he wants to go. However, we left him home for 2 hours (after five days of training) and he peed inside. So now, he goes outside, but if we're not around to open the door, he'll just go inside. We don't want to crate him. How can we teach him to hold it for a few hours when we're not around? What should we do after the initial five days of housetraining? We have had great success following your program with our eight-week-old Welshie. I took off work this week as advised. Any suggestions for the road forward? How you proceed after that first week depends on what you want from your dog. I like my dogs to sleep in my room, on the floor, so when the puppy is newly housetrained, I let her sleep next to my bed, but no longer in a box. The room is small, so she does not wander around and chew on things or defecate during the night. As soon as I wake up, I take the puppy out so that she can do her business. I live in the tropics so my front door is open during the day so that the puppy can go out as often as she needs to. If you are going to be gone for several hours during the day, be sure to provide a playpen for her to limit her movements. She will be okay "holding it" for several hours, but you should not expect her to go 8 hours without urinating. After several months, usually, when the puppy is 5 or 6 months old, I leave my door open at night. The puppy is used to sleeping through the night without any problems by that point. What if it’s a hot day the day you bring your puppy home can you still give her water after the journey? Yes, but you cannot overdo it. If you do, your puppy might drink fast and start vomiting. The best solution on a hot day is giving her a few ice cubes to lick on. She is going to be cool, not drink that much, and it will also keep her occupied as she is getting used to her new surroundings. What is in the dogs mouth in the first picture? That is a chicken foot. Chicken feet can be an important part of a dogs diet since they contain a lot of calcium and are easy to chew. If you can get chicken feet in the area you live in it is much better to start your puppy on this type of chew than on some rubber ball that has to be purchased from a pet store. Go out and get him some chicken feet today! 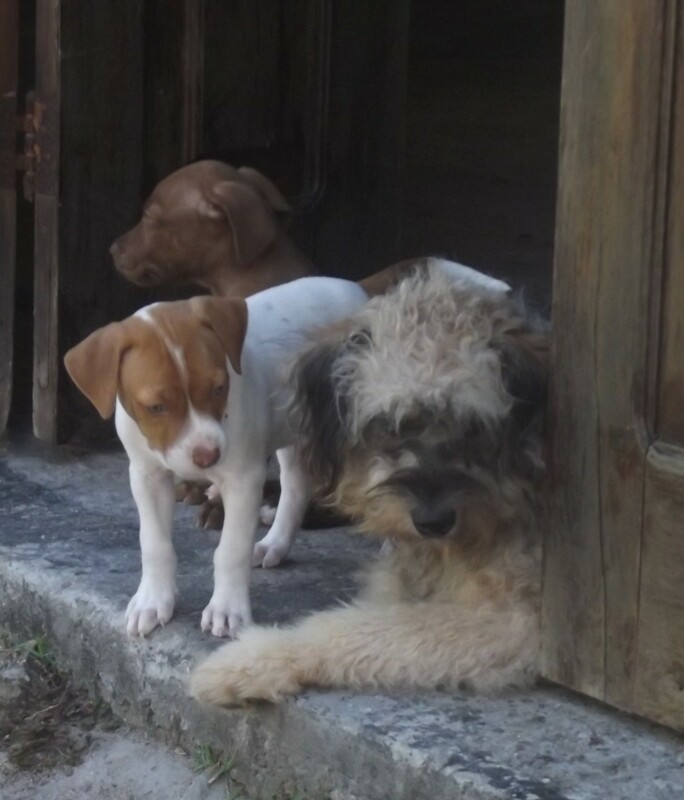 Gigi, your new puppy will not get Parvovirus from grass. As long as the area has not been affected by a sick puppy your puppy is totally safe. Is the area you want to use in your back yard? I do have a lot of concerns about your comment. 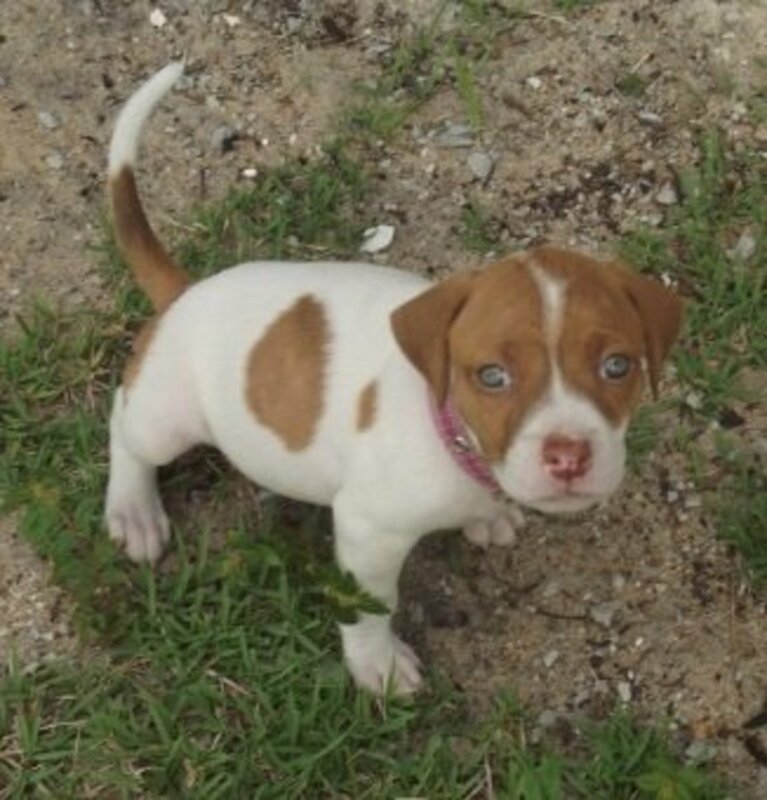 A puppy needs to stay with her mom at LEAST 8 weeks for behavioral reasons. so that she learns bite inhibition, among other things, so if a breeder is selling at 6 weeks that breeder is irresponsible. I am getting my Shih Tzu in 3 weeks. Her breeder sends them home at 6 weeks, I know some waits till 8 weeks. She said I should not let her get in the grass (Parvovirus) before she has had her shots. She will have had 2 when I get her. I had planned to start taking her outside when I got her home. Do I need to wait? K Burgess, congrats on that new puppy! A Coton at that age is a cute little thing. I am surprised that the breeder did not want to hold on to him for another few weeks. Yes, since you have to be away on Sunday I would definitely recommend you wait and start the program on Monday. It might be a little harder now, and take a few more days, but just be consistent and your little puppy will figure things out. Good luck. We brought home a 6 1/2 week old Coton puppy from a reputable breeder on Tuesday. I wish we had read your advice before bringing him home! We have probably done everything wrong. We are doing our best to take him out at the proper times, but clearly that is the wrong approach. Unfortunately we will have to leave him for a couple of hours two times on Sunday. We have not been using a crate and have praised him for pottying outside and never fussed at him for the indoor incidents. Is it possible to start your method at this point? If so, would it be better to start after Sunday with the 5 day plan, or could we go ahead with it now? Ekanshi, you started training your puppy the first day you brought him home. You taught him that he could do what he wants, sleep where he wants, and defecate where he wants. It is not too late to change his training. You have to flollow the rules in the article above. You said that he refuses to sleep in a box. According to whom? He has probably already learned that if he whines you are going to let him out, so he whines. Put up with it a day and he will realize that trick does not work and he will stop. You should start training your puppy to be polite. Read https://pethelpful.com/dogs/teach-your-dog-impulse... to learn about teaching impulse control. I start training puppies at 5 weeks. It is not too early nor too later to start. Hey, my puppy, a brador retriever came home when he was a little more than a month old. So we couldn’t house train or potty train him then because he was too little according to my parents. 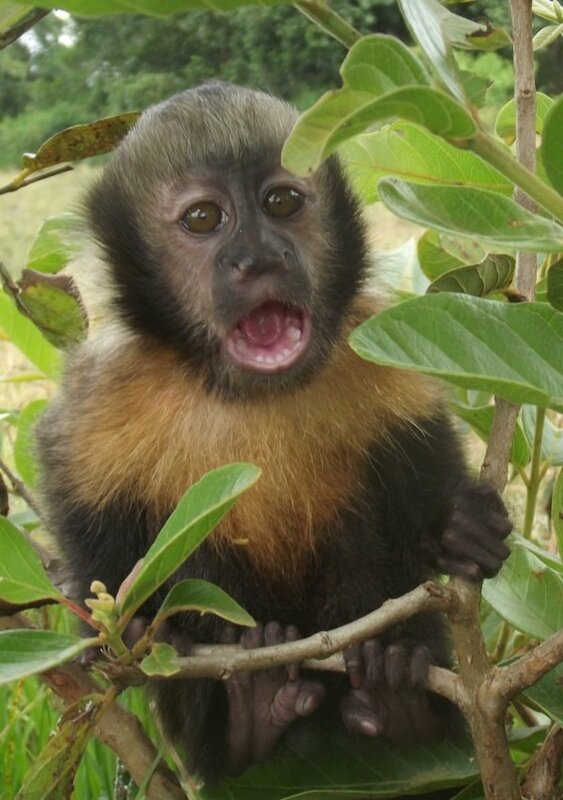 Now he is about 2 months, and it’s really difficult to control his chewing, biting and dedicating habits. And he refuses to sleep in a box because my parents let him sleep on the floor in his early weeks. Can you please help me?? Pete, Raising two puppies at the same time is very difficult, but I would definitely recommend two boxes so that they can at least be separated when they sleep. Would you put 2 puppies (cane corsos) together in same box or seperate boxes ? John, 3 months is definitely not too young. I keep the puppy next to my bed the first few nights, and when she starts fussing put my hand over and let her smell me. That calms them down a lot. I think they just want to know that they are not abandoned. Dr Mark, we Have a 3 month old puppy from a rescue shelter. We brought him home Saturday night. It's now Wednesday night. He's having a hard time. He's pee'd in the box a couple times. Is he just too young? We were told he will probably grow to be about 30 lbs. He's very small now....what should we do? He really hates the box! We have a maltichon 8 weeks old and we just got her home. I am following this routine but I want her to sleep in my bed. Is she too young for the bed? Rene, it is a little harder since the puppy has a "puppy mill" type upbringing and urinated and defecated in the cage, but at least he is still young so this method should work fine for you, but it will probably take a little longer than a week. Good luck to you. Have fun! If you have any questions leave me a message here or on my email. Cool hub, thanks for the technique. I plan to get a new puppy in the summer and I will try these tips. I hope it works, thanks. Lily sounds like quite a trial, and I would worry about her too. I do not have a Maltese at the moment, but my last dog always slept on top of my blanket, which made things a lot better. I am surprised that Lily came from a friend, and not a pet shop. Dogs that do not learn potty habits are a lot of extra work! She insists on sleeping in our bed if she's not shut in her crate. She may wait for hours, but we always find her under the covers in the morning. We really don't mind her being in our bed (she's very clean), but we worry that she might suffocate. But I will try it your way. I too, don't like the idea of shutting her in. I've never done that before with any of our dogs and we only do it with Lily because we worry about her being harmed. BTW, we got Lily from a friend's litter, not a breeder. Hi Will, I remember when you first got Lily, but cannot recall if you said she was from a pet shop or breeder. I wonder what her early housebreaking was like, before you got her? Does she even have normal cleanliness habits, or does she consider defecating in the throw rugs normal? I can imagine how frustrating it is finding those little presents. I would not want to put her in a crate at night, but would make a special bed for her to sleep next to your´s. If she jumped up on your bed, take her down and put her in her own bed. My dogs never get up on my bed (because of all the sand they drag in to my house) but I do let them sleep in my room. Thankfully, I do not have to worry about them defecating in a throw rug! Our Chihuahua Lily sleeps in our bedroom, and especially loves to get in our bed, but she also likes to get under the covers and we are afraid that she'll breath in too much CO2, so I put her in her crate for the night. I take her out first thing in the morning and outside to relieve herself, which she promptly does, but we still find places on throw rugs where she relieves herself when we aren't watching. It's very frustrating because she's nearly two years old. I've never had a problem housebreaking a dog before Lily.